The renovated and expanded Grove Hotel will open this summer as The Hoxton, Portland. 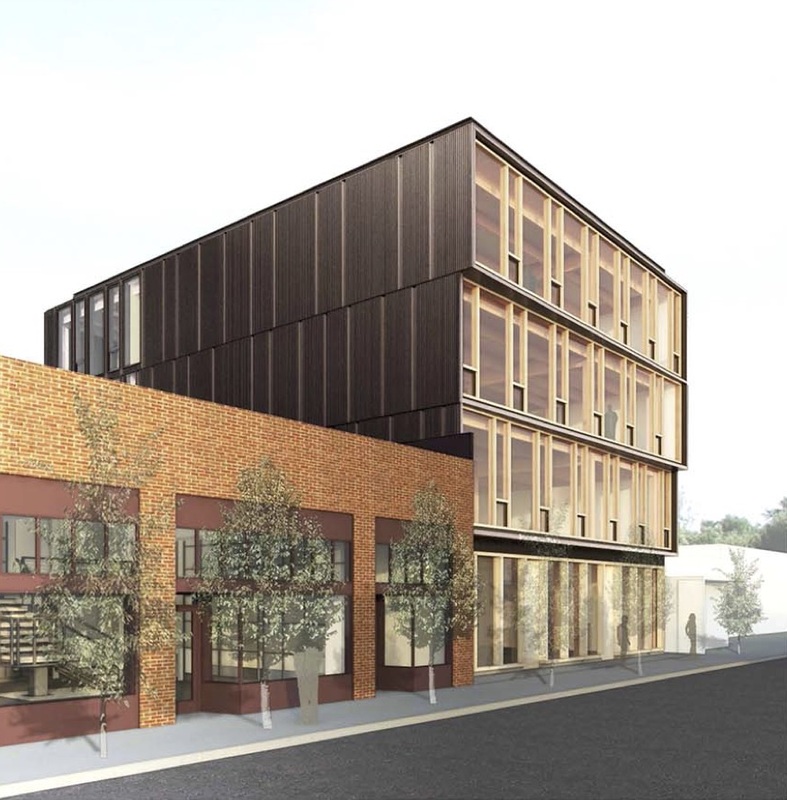 The Daily Journal of Commerce reported that a proposal at 2275 NW Glisan St, which would replace the building destroyed by the December 2016 gas explosion, was lauded by the Historic Landmarks Commission*. The Portland Business Journal reported ($) that Japanese retailer Muji will move into a 15,000 sq ft space in the renovated Meier & Frank Building. Vacation rental management company Vacasa has signed a lease to take all four floors of office space at Heartline, reports the Oregonian. The additional space, across the street from their existing office, will provide space for 300 employees or more. When it opens this summer the Grove Hotel will be operated by “posh UK hotel brand” Hoxton, reports Portland Monthly. In rejecting the Fremont Place apartments the Willamette Week argued that the city council is sending dangerous signals, leaving developers “uncertain about the rules for winning approval of projects“. After the decision the paper reported that Pearl District residents are “divided and fractious”, with one neighborhood association member concerned about the impact the decision will have on the redevelopment of Centennial Mills and the Broadway Corridor. The Oregonian reported on City Council deliberations over whether to revive a property tax break for developers who include affordable housing in their projects. During the hearing City Commissioner Nick Fish doubled down on his argument that “more high-end housing supply doesn’t ease demand”, according to the Willamette Week. 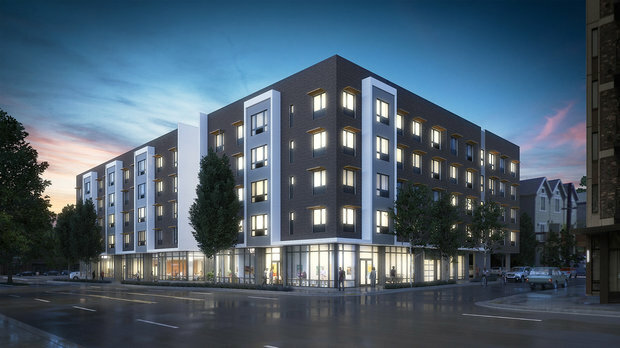 The Beatrice Morrow Apartments will include 80 affordable housing units, offered under the city’s preference policy to those displaced from N/NE Portland. The Oregonian wrote about the affordable housing planned for the former Grant Warehouse site on NE MLK. The building will be named the Beatrice Morrow, after the African American attorney who ran for state office in 1932. The Willamette Week wrote about Home First Development’s plans to build 300 apartments and sell them to the city for $100,000 apiece. 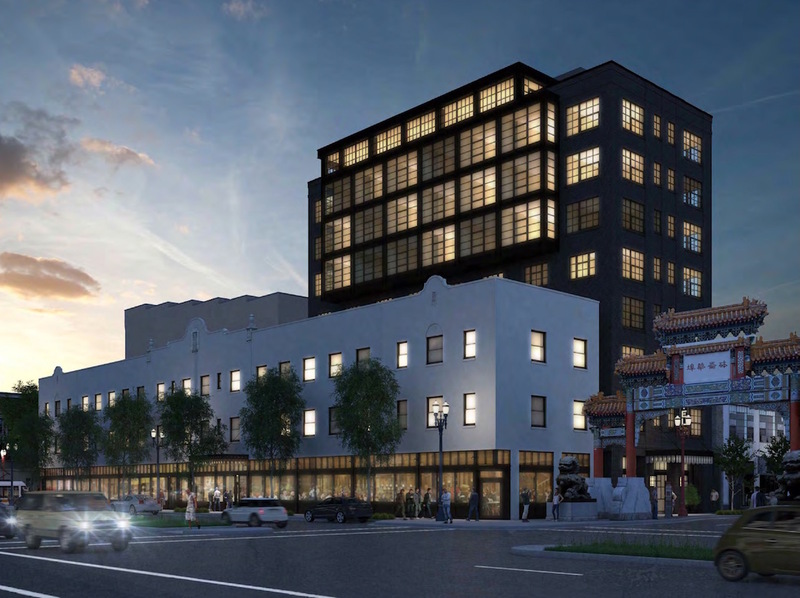 The DJC wrote about how the Portland Development Commission is “driving ahead to expand parking stock“*, with investments totaling tens of millions of dollars planned at Old Town Chinatown Block 33, the Convention Center Hotel and at the 10th & Yamhill Smart Park. 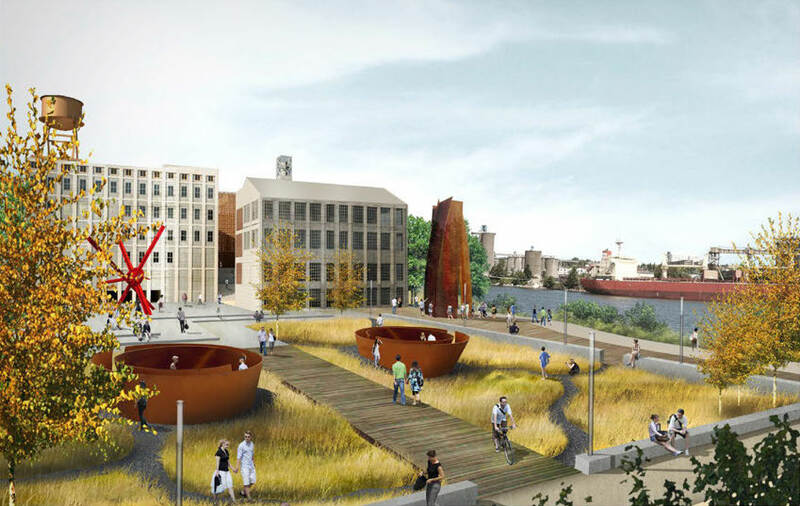 The Portland Business Journal reported that the City Council and PDC have chosen to move forward with a full redevelopment of the Centennial Mills site. As a consequence, the Mounted Patrol Unit will not return to the site. Portland Architecture spoke to Allied Works associate principal Dan Koch to about plans to rebuild the destroyed Robert and Ann Sacks House at 2281 NW Glisan and create a new building at 510 NW 23rd Ave. 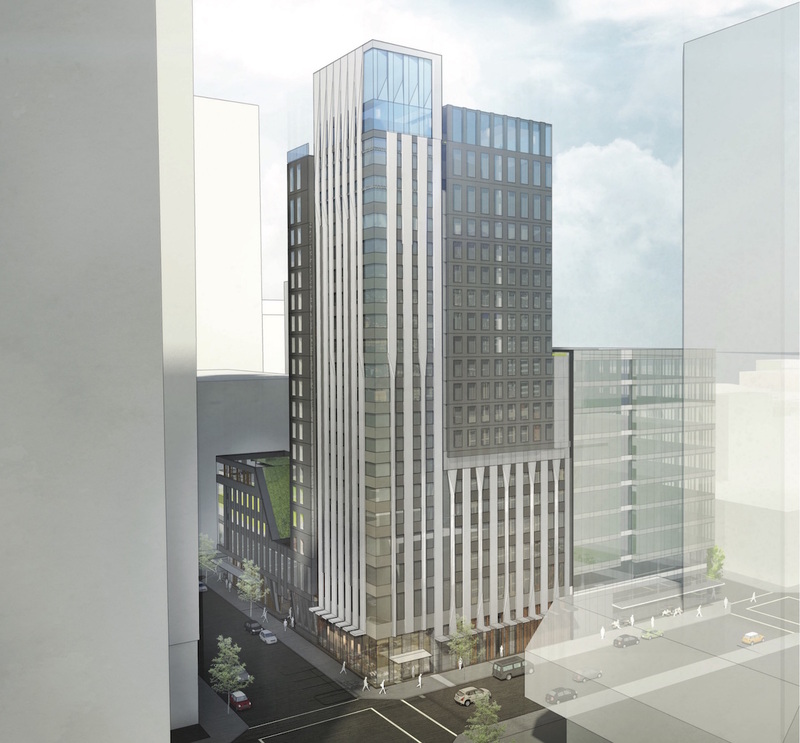 The Grove Hotel has topped out, writes the Portland Business Journal. When it opens later this year it will include a new restaurant by Kurt Huffman’s ChefStable group. In a two part series, the Business Tribune wrote about the Design Commission’s denial of the Ankeny Apartments, and the upcoming appeal to City Council. An article in Portland Monthly argued that the future of Portland’s skyline Is made of wood. Recent and planned wood buildings include The Radiator, Framework (CEID), 38 Davis, Albina Yard, Framework (Pearl) and Carbon12. The Portland Business Journal broke the news that the AMF Bowling Alley at 3031 SE Powell Blvd is set to be redeveloped for a ‘national retailer’. The Portland Mercury republished a statement from AMF expressing their plan to continue operating “for its remaining lease term and perhaps longer“. The Hollywood Star News wrote about plans by Koz Development for a new six-story, 114-unit studio apartment building at 4708 NE Sandy Blvd—a site currently occupied by Umpqua Bank. The Business Tribune reported that the remodeled Macy’s building downtown will officially be known as the Meier & Frank Building. Conceptual diagram showing how much development would be allowed under a full site redevelopment of the Centennial Mills site (image: GBD Architects). The flour mill would remain and be converted to creative office space, while the rest of the site would likely be used for residential and retail uses, plus an expansion of the Willamette Greenway. The Willamette Week reported that Portland could be getting a major new music venue at 2034 NW 27th Ave. With a capacity for 3,000 concert goers it would be of a similar size to the Schnitzer Concert Hall or the Keller Auditorium. According to the Portland Mercury nearly 6,000 residential units were submitted for city review in the past two months—ensuring that they wont be subject to the newly enacted inclusionary zoning rules. The Oregonian wrote about how affordable housing developers are taking a hit from Trump tax cut speculation. KOIN reported that the bathrooms at the rebuilt Grant High School will all be gender neutral. The DJC reported that the Portland Development Commission is moving towards a full-site redevelopment of the Centennial Mills*, which would not include the return of the Mounted Patrol unit to the site. The Morrison Street Bar & Grill at 1205 SE Morrison St will be demolished to make way for four-story, 39-unit apartment complex, reported the Portland Chronicle. The developers behind 1320 Broadway, formerly home to the Oregonian, are set to make a substantial return on their investment, according to the Portland Business Journal. The developers behind the renovation and expansion of the Grove Hotel have sued to evict Right 2 Dream Too homeless camp across the street, reports the Oregonian. Portland Shoupistas argued that parking is often over supplied at Transit Oriented Developments. The Willamette Week posted that with the Fair-Haired Dumbbell under construction Portland finally has architecture worth arguing about. The DJC published photos of the new spaces now open at Roosevelt High School. Venerable restaurant Besaw’s reopened last week at the LL Hawkins apartment building in Slabtown. Eater PDX published photos of the new interior. History Treasured & Sometimes Endangered wrote about the demolition of a number of houses in order to make way for a mixed use development at 2301 NW Savier. The new building by GBD Architects will wrap around the building that was formerly home to Besaw’s restaurant. BikePortland reported that a “gear sphere” sculpture was set to be installed outside the under construction Cook Street Apartments by LRS Architects. OHSU is in the early stages of planning for a major expansion of the Doernbecher Children’s Hospital, according to a story in the Portland Business Journal. The Portland Chronicle wrote about the potential demolition of a building at 3336 SE Belmont St, slated to be replaced by a three-story mixed use building by BKL/A Architecture. 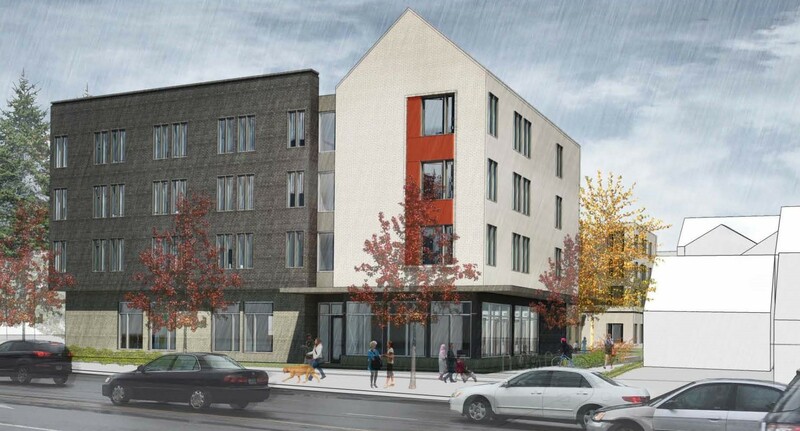 Construction is about to begin on the Works Partnership designed PDX Commons senior co-housing at SE 43rd and Belmont. The site was formerly the location of the Good Food Here food cart pod. As The Oregonian reports more than half of the carts have now relocated across the street to form the Bite on Belmont pod. As the Pine Street Market gets ready to open The Oregonian published their ultimate guide to the vendors planned for the Old Town food hall. Portland Architecture published their notes from the Centennial Mills public forum, which explored how the historic building complex might still be saved. 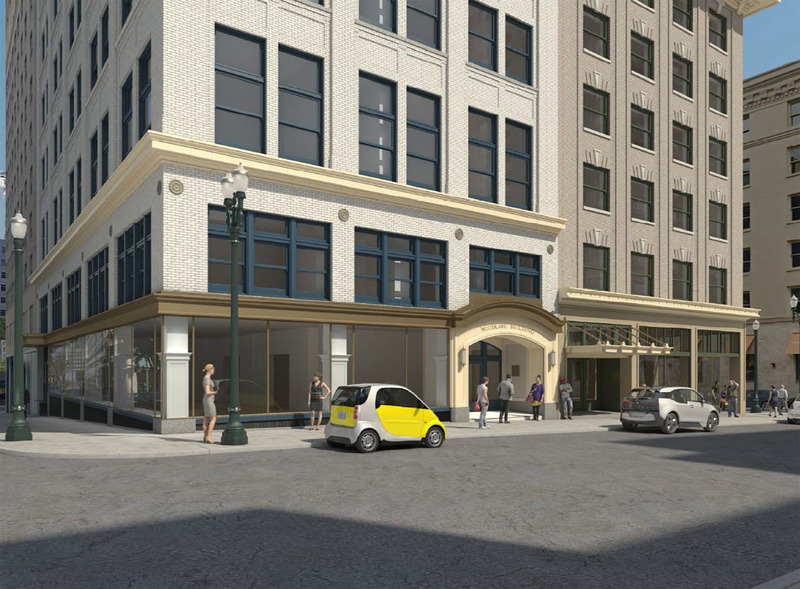 The developers behind 3rd and Taylor have laid out their plans for the block, wrote the Portland Business Journal. The design review package for the hotel portion of the project has been submitted by Ankrom Moisan Architects. The office building is planned to move forward separately in the coming months. In [mis]representation Places over Time wrote about the tools architects use to visualize their designs, how these can shape the design itself, and how it is easy to present a false sense of reality. Coworking firm CENTRL Office will expand into the Slate building at the Burnside Bridgehead Block 75, according to a story in the Portland Business Journal. The 10 story building by Works Partnership is scheduled to open later this year. With the fate of Centennial Mills uncertain, the Pearl District Neighborhood Association held a meeting to discuss the future of the site. Presenters included Jordan Schnitzer of Harsch Investment Properties, who had previously been selected as the developer for the property. The PDC allowed the memorandum of understanding between them and Harsch to expire in November, leaving open the possibility that all the buildings on site will be demolished. More information about the future of the property can be found at www.millmeeting.org. Residents have started moving into the Union Apartments by GBD Architects, according to a story in The Oregonian. A topping out ceremony was held for the 21-story Yard building, with 30 people in attendance including Congressman Earl Blumenauer. The Skylab designed project has been gaining a lot of attention lately due to the changes made between the design review process and the issuance of the project’s building permit. 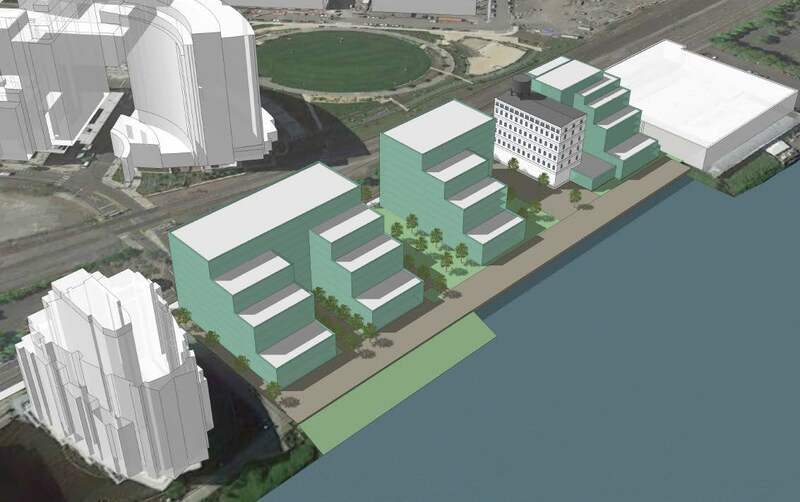 The Daily Journal of Commerce reported that the situation could lead to changes to the City’s design review process in response. The Oregonian reported that the restaurant Veritable Quandary will close this summer in order to make way for the new Multnomah County Courthouse. The County will demolish the restaurant building. The adjacent Jefferson Station building, which is listed on the National Register of Historic Places, will remain. The Willamette Week noted that Commissioner Steve Novick has called out environmental activists for failing to make the case that bigger and more dense housing can reduce car use. The Portland Chronicle wrote that an apartment project proposed at 2915 SE Division St would likely see the demolition of a 106-year-old home.